A fully qualified SANS Cyber Guardian, STIX geek and all around nerd, Chris has led teams across both public and private sector cybersecurity and intelligence arenas. Chris started out as an Intrusion Analyst in UK Intelligence working in network analysis, forensics and malware analysis. He held the post of Incident Management Team Lead for GovCertUK and was one of the first Technical Analysts to help establish CERT-UK's Incident Management and Response capabilities before becoming part of the newly formed NCSC UK. 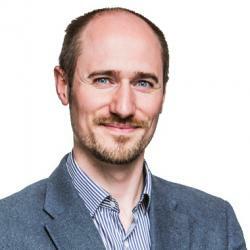 Before joining EclecticIQ, Chris held a post as Deputy Technical Director in the NCSC specialising in technical knowledge management to support rapid response to cyber incidents, and is now the Fusion Center's Intelligence Lead, specialising in the cross-correlation of a wide range of threat intelligence feeds to produce bespoke structured intelligence product.